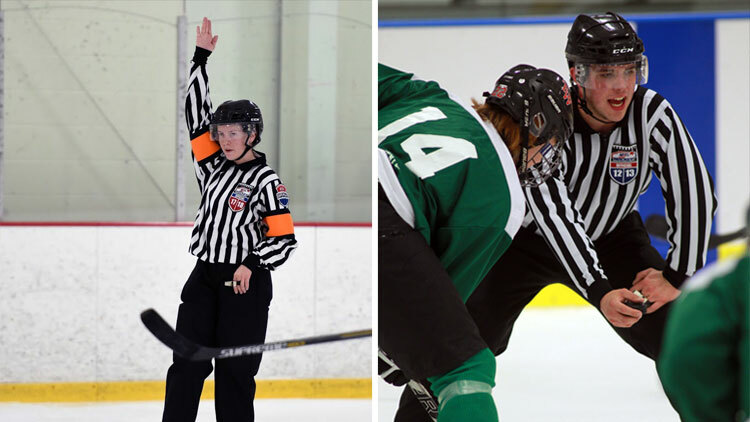 Any official who has been completely registered at Level 3 or Level 4 for each of the previous three seasons and would like to obtain "TENURED" status with the USA Hockey Officiating Program. What Are The Tenured Status Requirements? 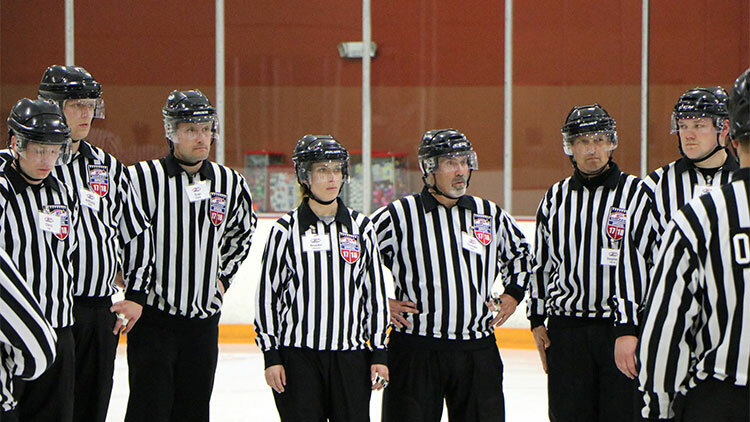 Candidates for "TENURED" status must attend the entire Advanced Officiating Symposium. Information regarding additional requirements and benefits will be distributed at the event. Attendees will be required to check-in throughout the event, and check-out upon exiting. Failure to do so at any point during the event will prohibit receiving your “TENURED” status. The Minneapolis Airport Marriott is offering a discounted group rate of $135 plus applicable taxes. The special Symposium rates are being offered for extended stays up to three days prior and three days after the event according to availability. The cut-off date for reservations is July 5, 2019. A link and booking info will be included in the confirmation email. Each presentation will be 30-60 minutes in length and include discussion on all aspects of officiating the game of hockey. 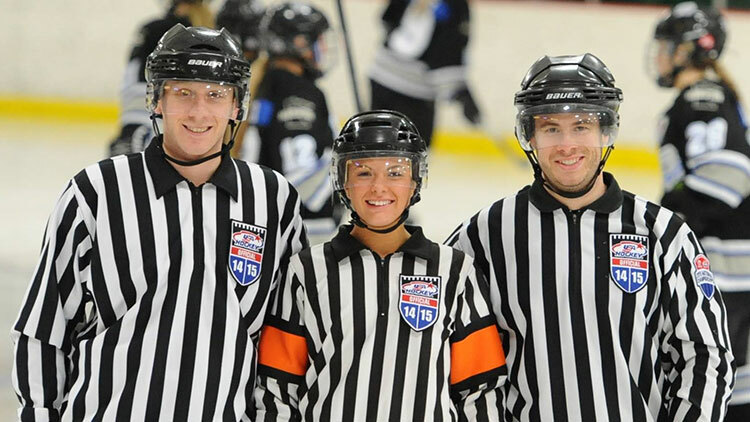 The presenters will be prominent officials from the National Hockey League (NHL), American Hockey League (AHL), International Ice Hockey Federation (IIHF) and the National Collegiate Athletic Association (NCAA) along with experts in other fields pertinent to officiating. 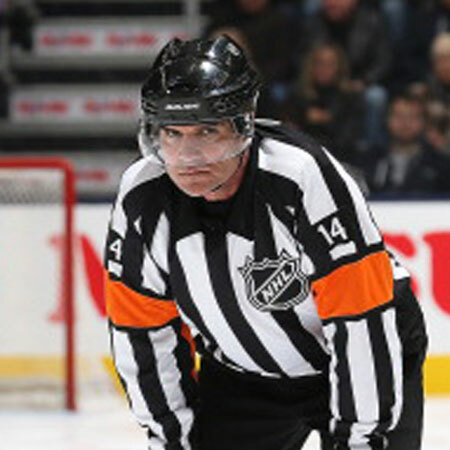 Kevin Collins is highly regarded as the most decorated American linesman of all time, having worked 28 years as an official in the National Hockey League. Kevin worked 1,964 regular season games as well as 296 Stanley Cup Playoff games, including 12 Stanley Cup Final appearances. 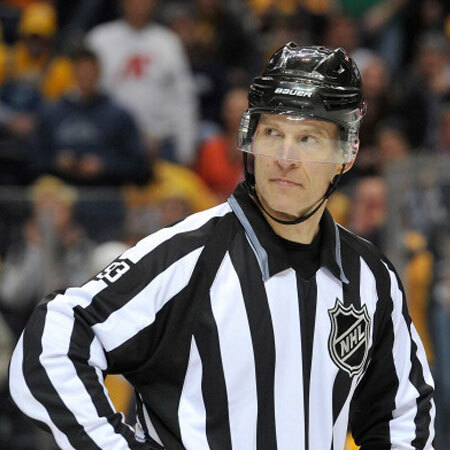 His 32 Stanley Cup Final game assignments ranks him second only behind Bill “The Big Whistle” Chadwick for American-born NHL officials. Collins was also assigned to three NHL All-Star Games, four Canada Cup tournaments, the 1996 World Cup of Hockey and the 1998 Olympic Winter Games. K.C. (as he is affectionately known) was instrumental in working with Mark Rudolph on the development of the USA Hockey Summer Development Camp program and USA Hockey Officiating educational materials. 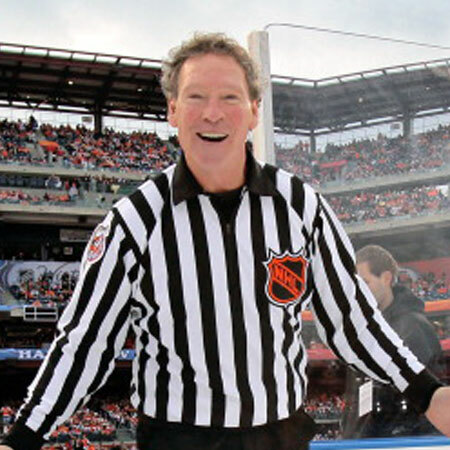 Kevin’s contributions to American hockey officiating were recognized in 2017 when he was inducted into the United States Hockey Hall of Fame. 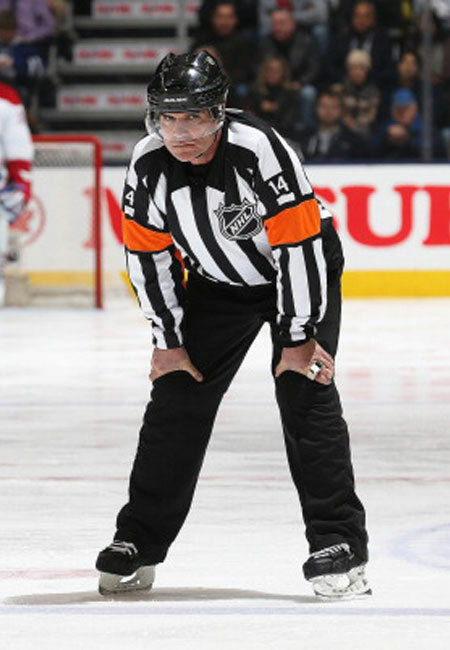 Dennis LaRue spent 26 years as a National Hockey League referee, worked 1222 regular season games and 58 playoff games over the course of his career. 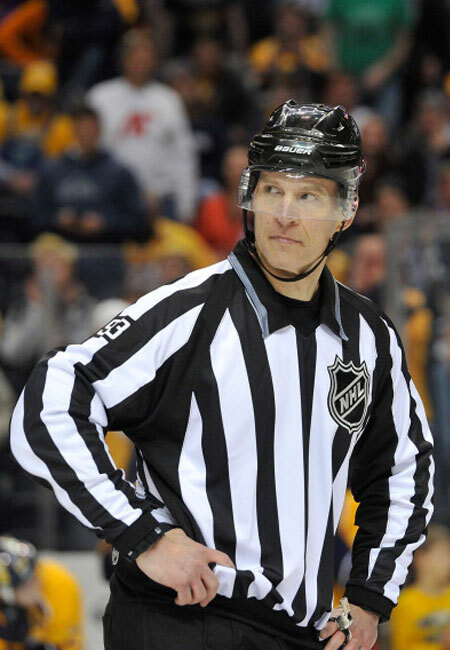 In 2009, LaRue became the first American referee chosen to work the Stanley Cup Final since Hall of Famer Bill Chadwick in the 1950s. LaRue has also represented the USA at four Olympic Winter Games. In 2010, he was awarded the USA Hockey Distinguished Achievement Award for his significant accomplishments on the NHL and Olympic stages. LaRue is still active today in supervising and mentoring officials, as well as contributing his time to various officiating camps throughout his career. In retirement, Dennis currently serves as President of the Spokane Amateur Youth Hockey Association in his hometown of Spokane, Washington. 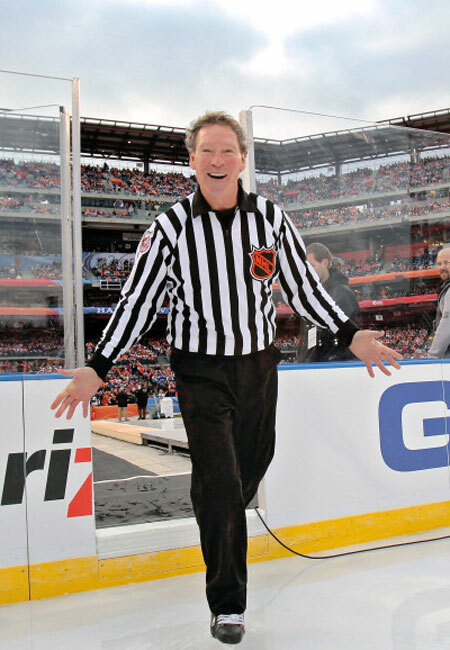 Still going strong after 29 years as an NHL linesman, Brian Murphy continues to play an enormous role in the development of future generations of American officials. 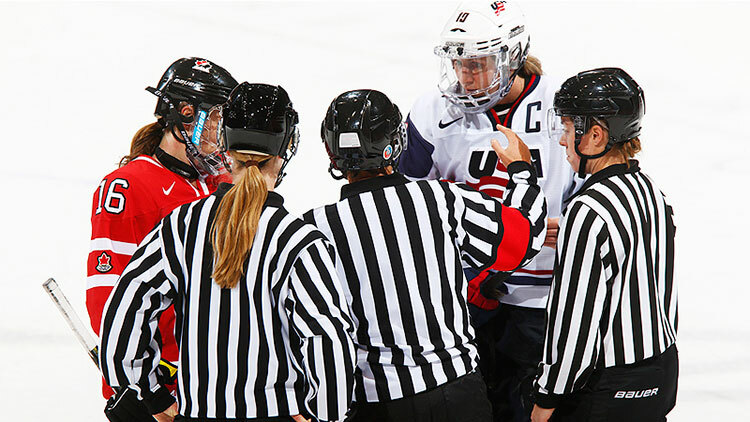 Murphy has been instrumental in the format and instruction of the USA Hockey Officiating Program of Merit and recently worked with USA Hockey to develop the College Hockey Officiating Showcase. 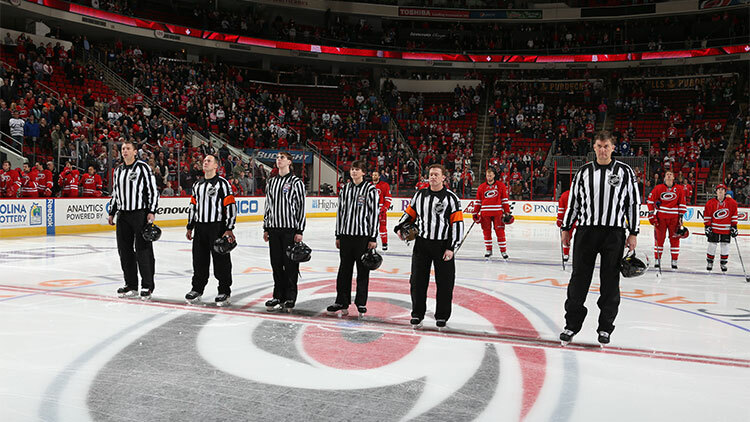 In addition, Murphy has volunteered his time at the Elite Officiating Experience in the last several years and was a fixture at USA Hockey Summer Development Camps in the late 80s and early 90s. Murphy’s on-ice career includes more than 1,900 regular season games and 300 playoff games, including assignment to 9 Stanley Cup Finals, two World Cup of Hockey tournaments, the 2010 Olympic Winter Games and the 1999 NHL All-Star Game. Registration fees include symposium material and access to all symposium receptions and events. To register, please enter your Officials Number and Last Name. Payment is required at time of registration. Cancellations received on or after July 5, 2019, will not be refunded. 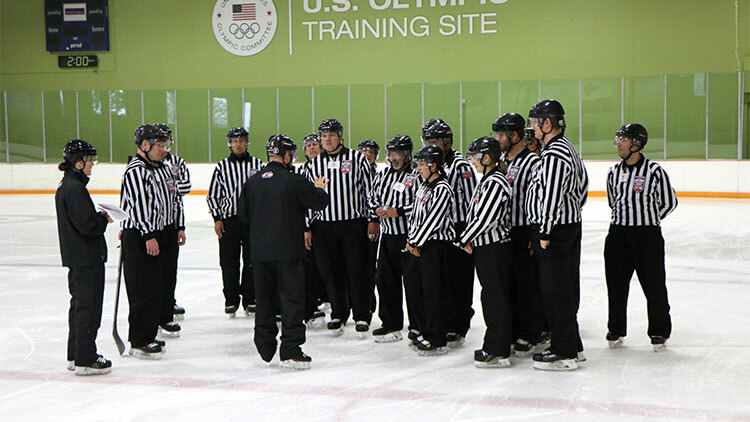 For more information on the 2018 USA Hockey Advanced Officiating Symposium please visit usahockey.com/tenuredofficial. © USA Hockey. All rights reserved.